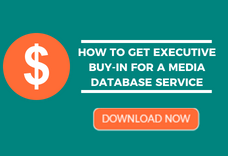 Can common ways firms improve their earned media results be identified? Cision® recognizes that communication professionals need to know where earned media is most effective in order to leverage earned opportunities for better results. In short, yes! And marketers believe this fact. 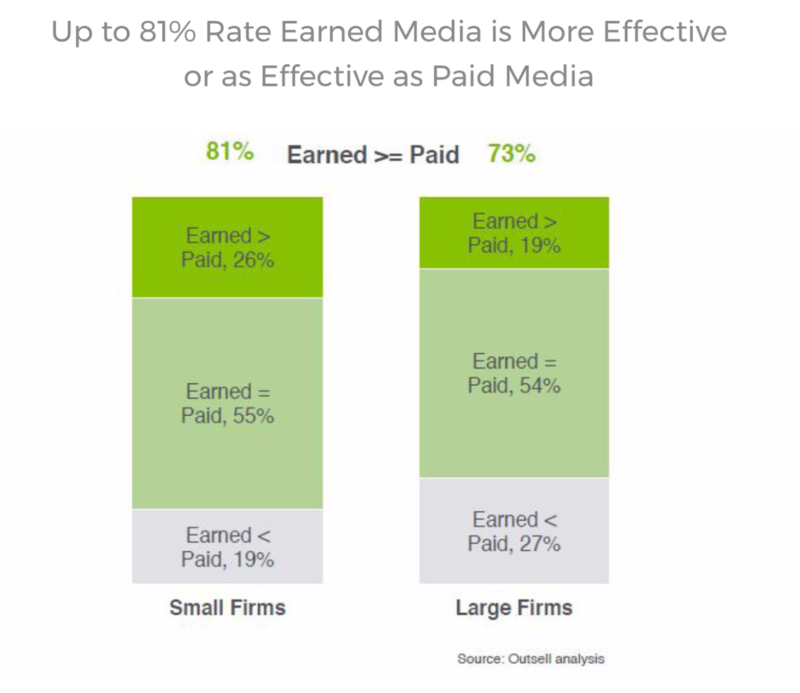 Marketers in both large and small companies rate earned media as more effective or as effective as paid media. With earned media, influencers lend their credibility, which encourages others to convert. Earned media connects with the right prospects because the prospects themselves are seeking information and purchase validation when they are actively in the market for a product or solution, which inherently provides pre-qualification of an influencer’s audience. Is Earned Media Widely Used? While earned media continues to be an area for growth, marketers already see it as a meaningful marketing channel. The Outsell report shows that 87 to 96 per cent of large firms value a wide assortment of earned media tactics. Younger marketers are also more likely to widely use earned media. Marketers under the age of 40 ranked it as much more effective than those over 55. Companies in technically savvy industries are also more likely to value the potential of earned media. Marketers who work in technology, biotech/pharma and financial services also rate earned media has highly effective. How Can we Improve Earned Media Results? Marketers must overcome some earned media challenges such as finding and connecting with influencers, adopting effective distribution technology and accurately measuring ROI to prove the value of public relations. Investing in people to monitor and engage on social media. Seeding story ideas to journalists. Encourage customer ratings on review sites. It’s clear that marketers value earned media, but are searching for ways to deliver better results and strong business impact. 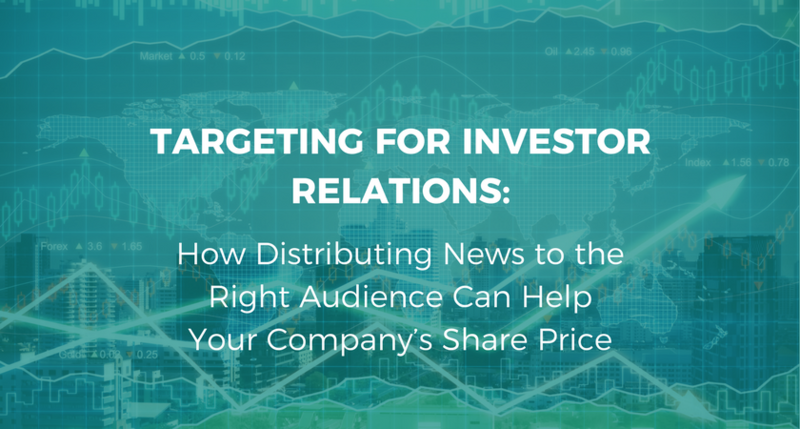 Adopting a strategy that leverages a combination of earned media tactics tends to maximize opportunities and value. Additionally, measuring the impact of communications campaigns from awareness to revenue will reveal what works well and what doesn’t. Armed with this information, marketers can continue to build on that measured success. It starts with identifying the right influencers. Communicators need a media database of quality contacts that enable them to manage relationships and pitch relevant stories. They also need to execute integrated campaigns, from sending out emails to interacting on social media, distributing press releases and more. Finally, they need to attribute value by monitoring results and tracking conversions tied to the bottom line. Marketers can also amplify the impact of these earned media campaigns by integrating them with paid and owned tactics. In short, utilize a variety of earned media methods, and ensure you measure what works and what doesn’t work in order to optimize your results. When you put it all together, you’ll have an effective marketing program that influences audiences and gets results.